Is a National SLAPP Statute on The Way? Many states have laws designed to promote free speech, and discourage lawsuits by private parties which attempt to use the power of the government to chill a person’s protected speech. Such lawsuits are called “Strategic Lawsuits Against Public Participation” or SLAPPs. 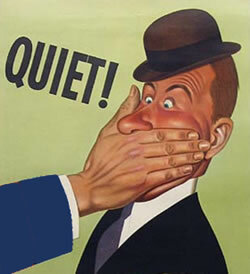 A SLAPP generally goes like this: a person or organization exercises its constitutional right to free speech. Its speech happens to be highly critical of a large corporation or very powerful person. The corporation or person, wanting to shut them up, sues them for libel or slander. The plaintiffs in these cases usually don’t care if they eventually win; they simply know that they can afford to bury the much smaller defendant in litigation, forcing them to spend far more time and money than they can afford in order to defend against the lawsuit. The defendant, in exchange for the plaintiff dropping the lawsuit, eventually recants their statements, or stops making them. In response to this practice, many states, with California leading the way, passed laws which allow such lawsuits to be dismissed very early in the proceedings. The defendant has to file an “Anti-SLAPP Motion,” or something similarly-named. If they can show that the lawsuit is in response to constitutionally-protected speech, and that the plaintiff is not likely to win on the merits, if the case goes to trial, the case will be dismissed. However, only about half of U.S. states have laws like this, and they vary widely in the amount of protection they provide to such defendants. This has led to the practice of “libel tourism,” in which plaintiffs strategically choose among available jurisdictions in which to file their libel lawsuits, picking the one that they think is most likely to lead to a favorable result. In response to this, Rep. Steve Cohen (D-Tenn.) has proposed the Citizen Participation Act of 2009. This law would allow federal courts to entertain Anti-SLAPP Motions (though the law doesn’t specifically refer to them as such), under a procedure very similar to the on described above. The law also deals with the fact that almost all defamation lawsuits are filed in state courts (and Congress can’t really dictate state court procedure), by allowing defendants in such suits to easily remove the cases to federal court. Federal and state courts often have overlapping jurisdictions. For this reason, defendants are allowed to remove lawsuits filed in state court into federal court, if it could have originally been filed in federal court. This law would allow defendants to remove the case to federal court if the plaintiff’s claim primarily rests on the defendant exercising constitutionally-protected rights to free speech. Once removed to federal court, the defendant would be able to file the motion to dismiss, as allowed by this law. It also requires the plaintiff to pay the defendant’s attorney fees and costs, if the defendant prevails on the federal Anti-SLAPP motion. It provides prevailing plaintiffs with attorney’s fees if they can show that the defendant’s removal and motion to dismiss were frivolous (basically, so obviously without merit that no reasonable person would have attempted it). Most of the people who have discussed this issue seem to support it. The Citizen Media Law Project has come out firmly in support of this law, arguing that, while a majority of states have Anti-SLAPP laws, most of them are pretty toothless, and provide people with little protection from these lawsuits. And that’s to say nothing of the 20-something states which don’t have any Anti-SLAPP laws. They also argue that Anti-SLAPP laws don’t undermine the ability of corporate plaintiffs to bring legitimate defamation suits. The legal and political blog Popehat appears to support the law in principle (in that they are all for Anti-SLAPP laws), but they do question whether or not bringing the law of defamation, traditionally the exclusive domain of individual states, into the federal realm is the best idea. This is mainly because of the provision that allows for removal of such lawsuits to federal court, arguing that this would place a huge strain on the federal court system’s already-limited resources. Popehat does have a point – this law might send the message to state courts and legislatures that Congress doesn’t think they’re qualified to strike a proper balance between discouraging defamation, and protecting free speech. Personally, I think that if this law can prevent deep-pocketed plaintiffs from filing meritless lawsuits to chill free speech, I’m for it. As for the burden on the federal court system, maybe Congress, as its next move, could try adequately funding the federal courts. Can You Get Sued for Your Critical Yelp Review?